This manicure features the yellow-ish green holographic polish by Butter London called Trustafarian. From the photo above, you can see that it is a bit sheer to be used on its own in my opinion. The photos were from 1 to 4 coats. If I were to use this again, I would first use a similar color as a solid base then maybe put 1 or 2 coast over it. Other than that, it is a very unique color with fine glitter! It is only "somewhat" holographic which is not very noticeable. 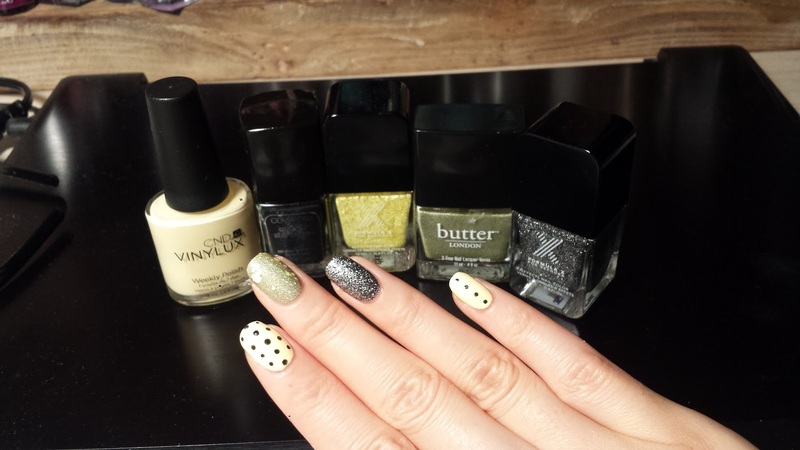 On the 2nd and 5th fingers, I put some black polka dots on a cream yellow polish. 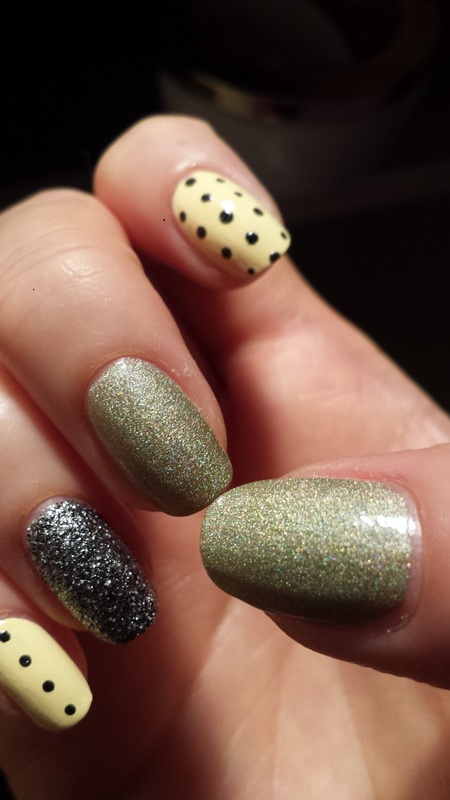 I also topped the greenish nails with the matching shade of yellow chunky glitter. On the 4th nail, I simply used a silver/black glitter and painted all over the nail. 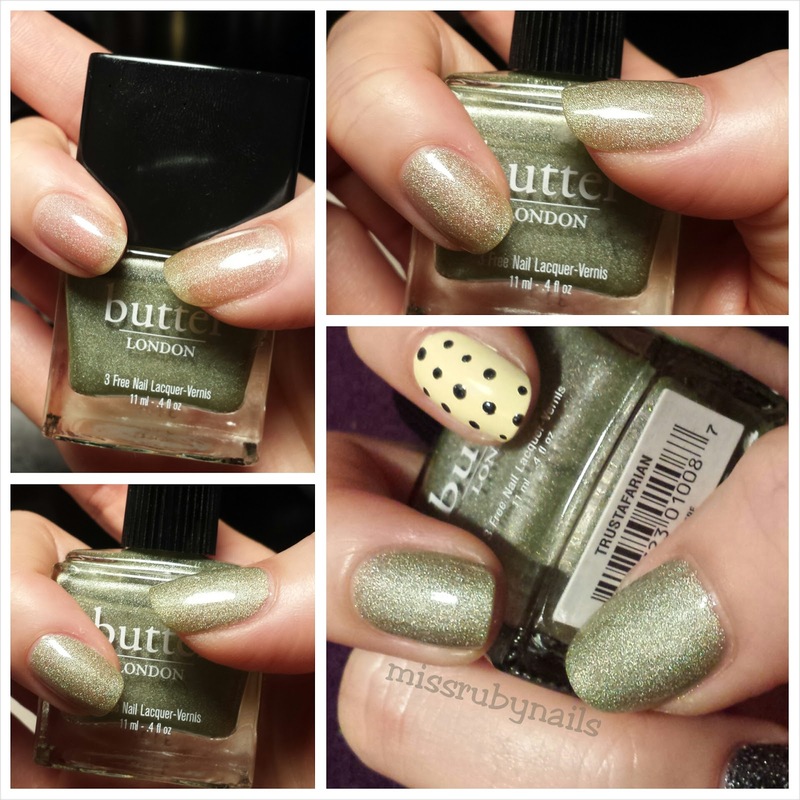 Click HERE for a recent holographic manicure!